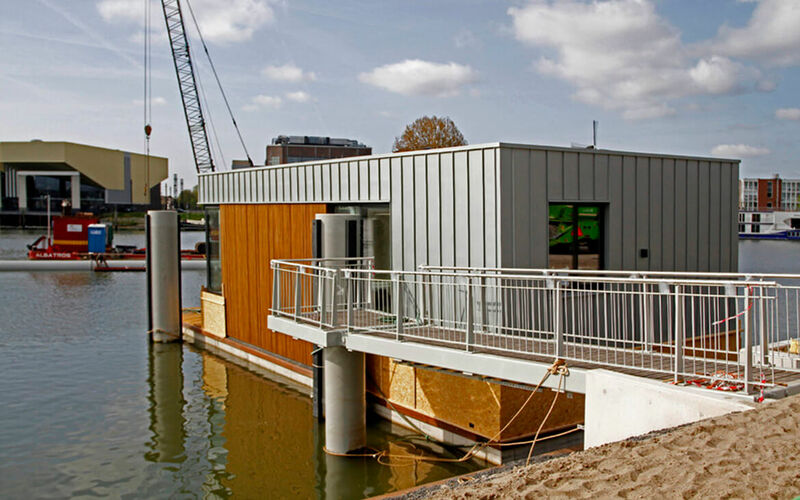 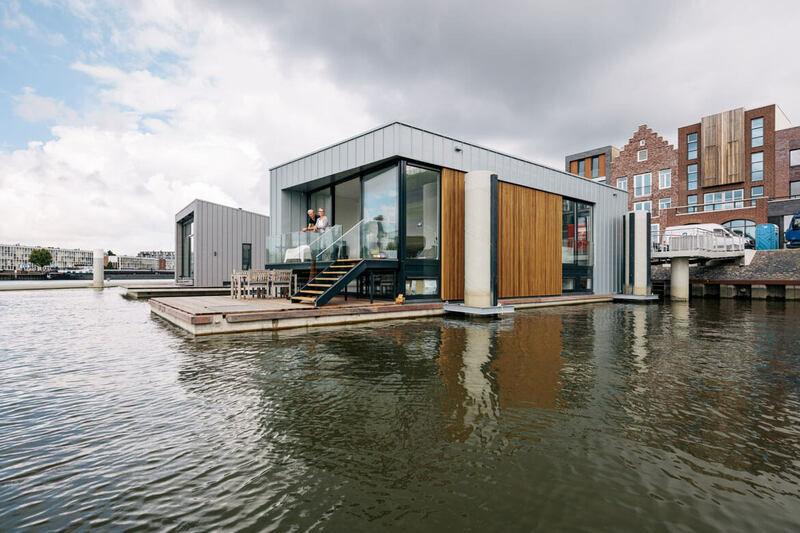 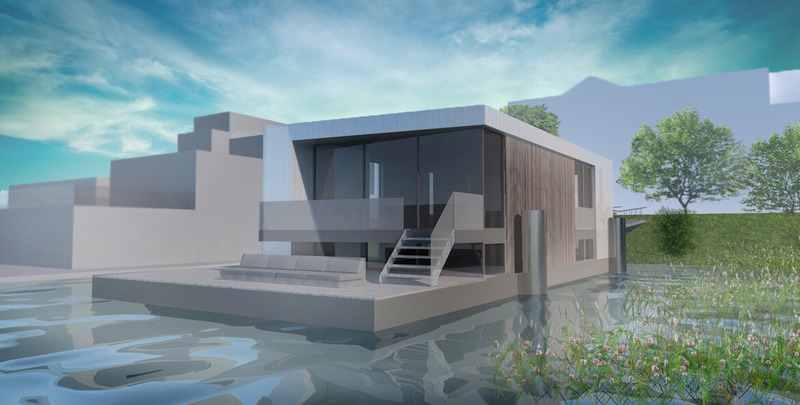 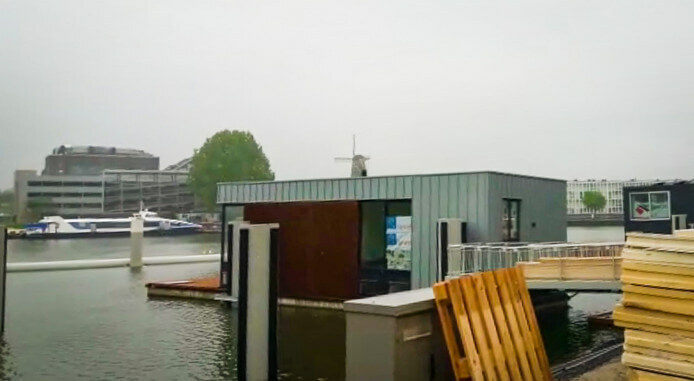 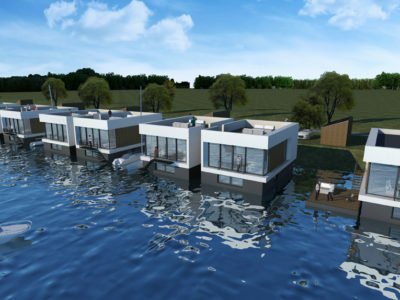 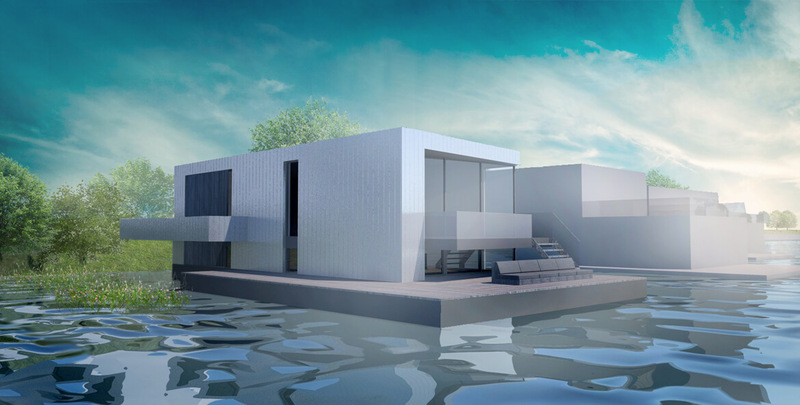 This floating Villa is part of a small water development in Dordrecht. 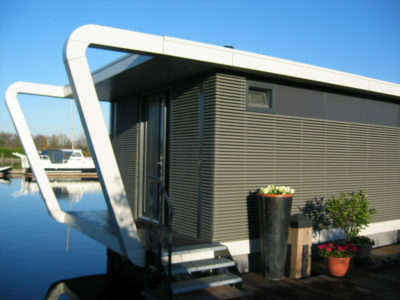 It’s living room is connected to the big exterior terrace with a small stairs. 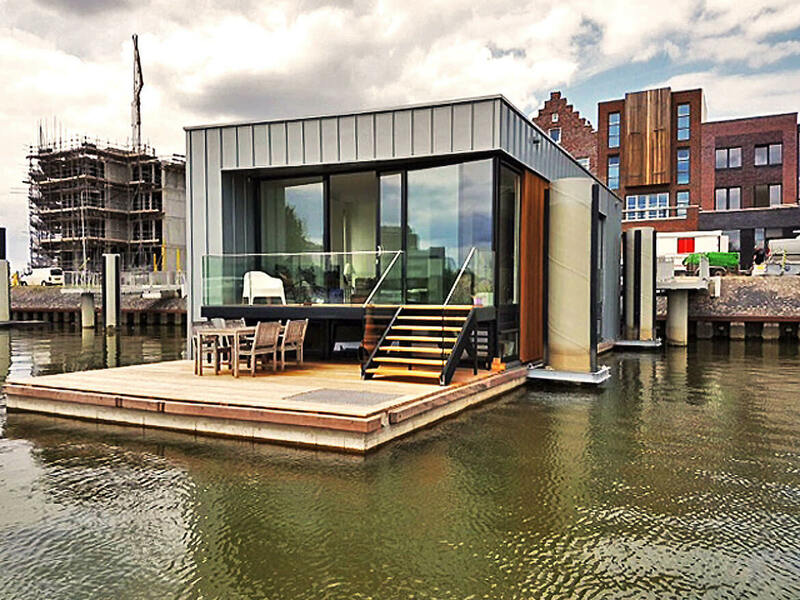 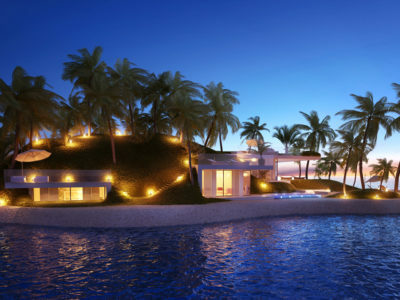 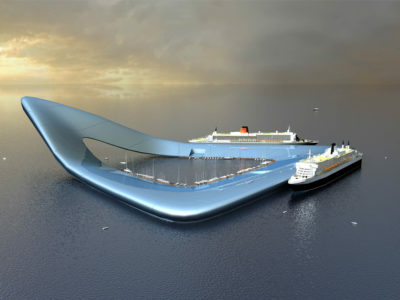 The living room and the terrace both have a Strong connection with the surrounded water. 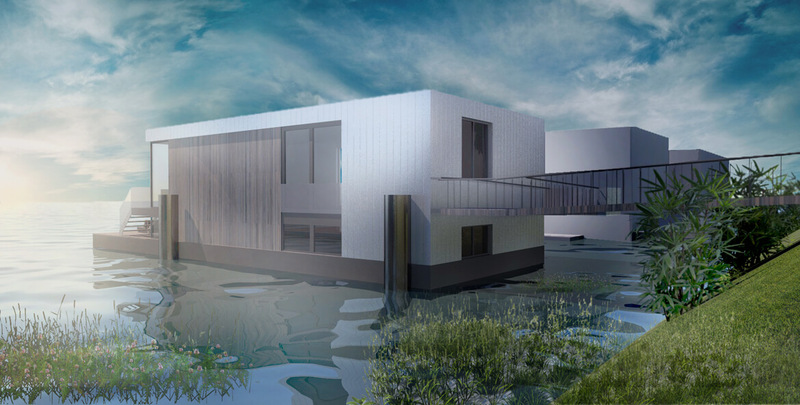 The façade of the villa is cladded with zinc. 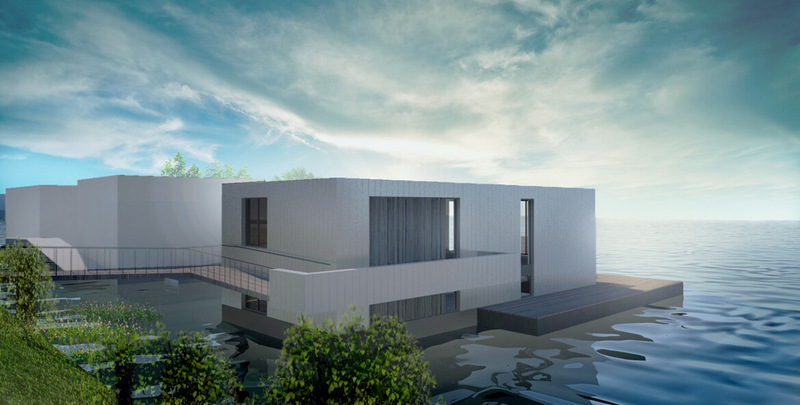 Some wooden details of the façade gives the villa a luxurious appereance.